Hello ladies... it's time to announce another lucky Clemson Girl reader as the winner of another fabulous Clemson-themed giveaway. 1 $25 Gift Certificate from Tiger Cuts, plus an awesome gift tote of Pureology Products. Hooray Barbara! 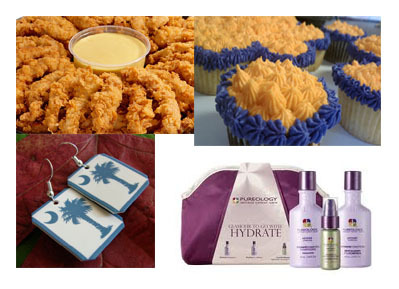 Please email us (clemsongirlblog@gmail.com) to claim your prize package! Thanks to everyone who entered today and special thanks to Clemson Area Moms for sponsoring the giveaway. Friday is finally almost here! I live for the weekends -- especially during football season. Go Tigers! !